What is the server? Server is the program or set of program or software that serves for the requests made by client. So the server may be machine as well as software that will provide the services to others. The client may be programs, software of machine etc that those will send the request to server for the specific purpose. Two processes running on different execution environment independently to each other and communicating by some sent of rules process some data may be client server architecture. Servlet is a server side java program that extends the capabilities of server. Servlet program is used by server to process the request of client and to generate the response to the client. For example if you want that, I want to send a request to server to change my name into Uppercase then how the server will do it. Server should have such type of capability. So developer will place a program at the server side that can change the string into uppercase and developer tells the server about that program by some configuration then server will use this program to change the string into uppercase. 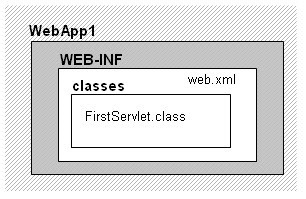 Servlet does not run it self, it is invoked by the web server (or by web container) to process the request of client. At that time server will execute some portion of servlet instance according to request and after sending response the servlet instance will available to be used for anther request. Before the servlet there were CGI programs for long time doing same thing. Still why we need the servlet? Let see the differences between CGI and Servlet. There is only a single instance of servlet which answers all requests concurrently. This saves memory and allows a Servlet to easily manage persistent data. Here you are going to create a simple servlet that will print to the client side “Hello Servlet”. Step 2: Cerate a java program as shown here. 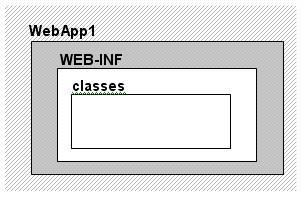 Step 4: Copy classes file into WebApp1\WEB-INF\classes folder of your web application as you created before. 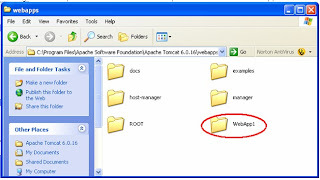 Step 6: place it into WebApp1\WEB-INF folder. Now you web application’s directory structure will look like following figure. Now it is complete demo web application and we can deploy it to web container like tomcat. 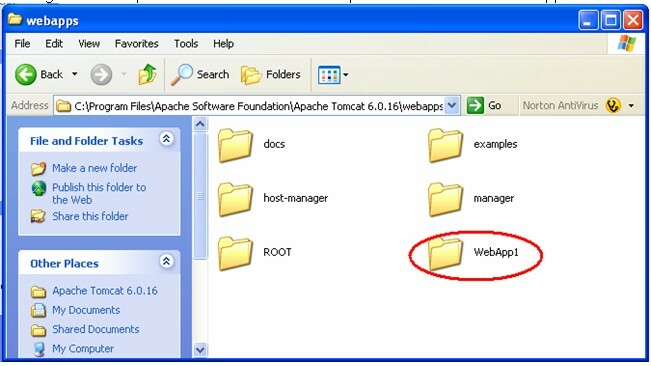 To deploy this web application use the simple method, just copy WebApp1 folder into the webapps folder located into following path of tomcat server. If tomcat is installed properly then use tomcat monitor service to stop and start tomcat. Open web browser (i.e. Internet explorer) and write down the following address into address bar.